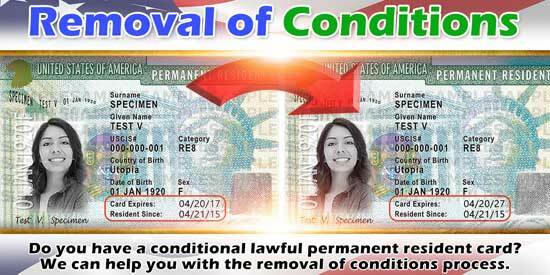 If you’re looking for information on conditional green card renewal, what you are really asking is how to remove the conditions on your permanent residency status. Moreover, your green card was based on marriage, and at the time the United States Citizenship and Immigration Services (USCIS) issued it to you, you and your spouse was married for less than two years. This guide to conditional green card renewal is part of our guide to green cards, and particularly related to a green card through marriage. If you need information, please keep reading. If you already know that you need some help, please contact us. An advantage of practicing immigration law for 20 years is that you remember when and why the law changed. A long time ago, everyone who got married used to get an unrestricted green card after the USCIS interview. This led to a thriving industry in immigration fraud. Fraudsters managed to memorize all the USCIS marriage interview questions. Anyone who wanted to buy a green card based on marriage had to remember the answers. Then the fraudster coordinated with the US citizen receiving the money to be successful. The idea behind the conditional green card, good for only two years before expiring, was that no one can fake a marriage for that long. After you’ve been married for a couple of years you must have tangible proof of the good-faith nature of your marriage. Now, the USCIS does not ask a lot of intrusive questions about your marriage at the interview. Sure you have to produce some evidence of it, but a little will usually get you the conditional green card. But, after two years of marriage, the USCIS expects you to have a lot of documentary evidence proving your marriage. You use this evidence when you file form I-751, petition to remove the conditions of your green card. Let’s look at eligibility to file for conditional green card renewal. The vast majority of cases involve people who are still married, and want to remain married to each other. In this best case scenario, you both sign form I-751 and include on it any children that also received conditional resident status at the same time you did. Another easy case is for the conditional resident child who did not receive the card within six months of the conditional resident spouse. These children must have a separate application, with a separate I-751 fee. But, you need only submit a copy of the documents submitted with the conditional parent’s application. In all these cases, both the husband and spouse will sign the application. While the USCIS requires both spouses to sign form I-751 petition to remove conditions on residence, under certain circumstances you eligible for a waiver of this requirement. If you were unfortunate such that your US citizen spouse died before you both filed the petition to remove conditions, you may file with a death certificate. Another example is where you meriting good-faith, but the marriage ended in divorce or annulment. Lastly, if you enter the marriage in good faith but your spouse battered either your child or subjected you to extreme hardship, you may also file on your own. 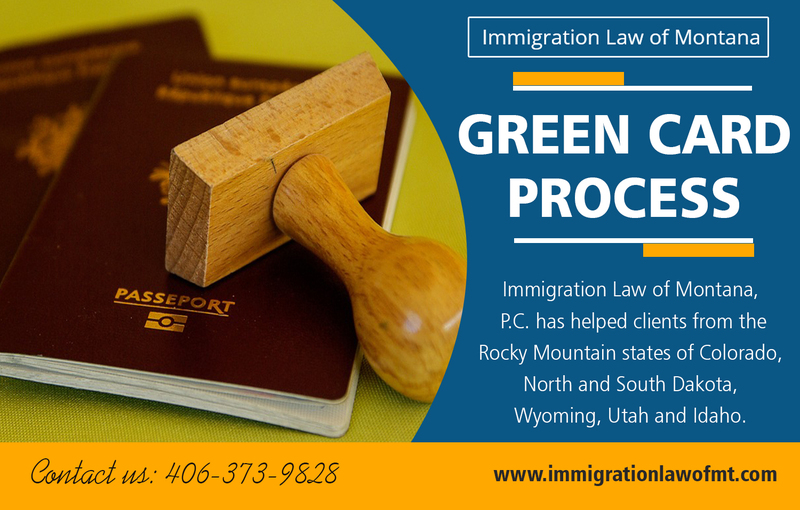 As explained in the introduction, the purpose of the two-year conditional green card from the USCIS perspective is to stop people fraudulently getting lawful permanent residence in the United States. Therefore, the most important aspect of your application for conditional green card renewal is demonstrating the good faith of your marriage. For people who are still married, that might be relatively easy. For example, if you have purchased a home together, evidence of that buy is a great way to show the good faith of your marriage. Likewise, if you are fortunate enough to have a child together, a copy of your child’s birth certificate would be excellent evidence to include in your I-751 application. Ownership of other property, like cars or campers also helps your case. Evidence that you have joint accounts together, bank accounts or loans is also excellent evidence. Affidavits from friends or relatives who are familiar with your marriage also help. As a conditional green card holder, you will complete the application, form I-751, and gather the supporting documentation to submit to the USCIS. You must submit no later than the expiration of your conditional permanent residency status otherwise USCIS will start removal proceedings against you. If your card expires, you have no status whatsoever in the United States. You may submit your application up to 90 days before your conditional green card expiring. We recommend submitting as soon as possible before 90 days. In this way you will not run the risk of having a driver’s license expire due to no proof that you are lawful permanent resident. If you submit a timely and approvable I-751 application to the USCIS, they will accept it and send you a receipt notice that serves to extend your lawful permanent residency for one more year. You can use this receipt notice to renew your driver’s license, and confirm your eligibility to remain employed. Soon after you receive the receipt notice, the USCIS will schedule you for a biometrics appointment. Next it will start processing your case. If everything goes well, you will receive a new ten year green card in the mail after about 6 to 8 months. Sometimes you receive an RFE request for more information. We have helped many clients receive a 10 year card who started on their own, but received an RFE for the conditional green card renewal. In very rare cases when two people remain married and have a lot of evidence, the USCIS will sometimes schedule you for an interview. You may only file to renew your conditional green card on your own if you are actually divorced. You also may file it at any time. If you’re getting divorced, it is better to wait than to try to file early without the divorce decree. When submitting an application for conditional green card renewal when you are divorced, you must include a lot of evidence for the good-faith nature of your marriage. In other words, you must prove that you and your spouse married for all the right reasons at the beginning of your marriage. This often presents a difficulty for conditional residents who divorce. We have helped many people receive ten year green cards, permanent green cards who divorced within two years of marrying the US citizen. Sometimes, you have to be creative in thinking about how to show the good-faith nature of the marriage. This is an area with which we can really help you. Assuming that you have an I-751 application for submission that meets USCIS requirements, it will accept it and extend your green card for one year. Applications filed by divorced green card holders are far more likely to receive an RFE, a request for additional evidence. It is really worth spending the time doing a good job in responding to these type of RFEs. We specialize answering the USCIS with what it needs. If you do a good job, it is likely that you will receive the 10 year card in the mail. A poor job will result in an interview at the local USCIS office. If you receive an interview and are working with us, we will counsel you for the greatest chance of success. It is certainly possible to file for the 10 year permanent card on the basis that you enter the marriage and your spouse battered you or subjected you to extreme hardship. Just as in the divorce case you must provide evidence that you entered the marriage in good faith. In our experience though, these applications are few and far between. In our experience, battering and extreme hardship usually show up pretty early in a relationship. Moreover, battered people don’t often remain in such an abusive and bad relationship. As a consequence of this, many people who suffer extreme hardship or battering don’t even have a green card. The marriage fell apart before receiving the green card due to the abusive US citizen or permanent resident. Alternatively, you did not even start the green card process. Under these circumstances, you have no conditional card to renew. But, that does not mean that you are without options. Battered spouses or ones subject to extreme cruelty may self petition for special immigrant visa which they can use to get lawful permanent residency. Our article on battered spouse green cards is located in our section on green cards.